What is the definition of insomnia? What is the treatment for insomnia? 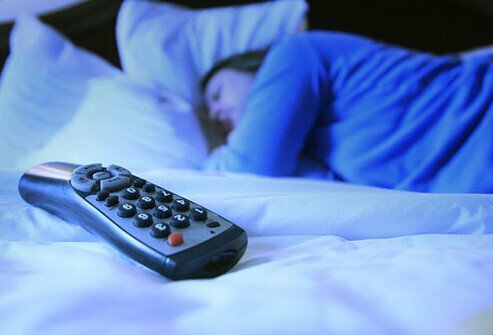 What natural remedies and non-drug therapy options are available to treat insomnia? What prescription sleeping pills are available to treat insomnia? What are orexin receptor antagonists? What antidepressants help treat insomnia symptoms? What are pineal gland hormones (melatonin)? Insomnia is the most common sleep complaint among people. Insomnia is defined as difficultly falling asleep, staying asleep, or both, resulting in inadequate length of sleep and/or poor quality of sleep, which may affect a person's ability to function during the day. Insomnia also may affect quality of life, work performance, and overall health. Insomnia is not a disease, but a symptom associated with a variety of medical, psychiatric, or sleep disorders. Older people (60 years of age or older): Insomnia increases with age which may be attributed to greater psychosocial stressors, losses, and medical illnesses. People with mental health disorders: Many disorders including depression, anxiety, bipolar disorder and posttraumatic stress disorder disrupt sleep. People experiencing stress: Different variations of stress may cause either transient or short term insomnia and lead to chronic insomnia such as death of a loved one, financial issues etc. Long distance travelers: Travelling across multiple time zones and experience jet lag can cause insomnia. Night shift employees: Working at night or frequently changing shifts increases one's risk of insomnia. Insomnia is usually a transient or short-term condition (lasting less than 3 months). In some cases insomnia can become chronic (more than 6 months). Transient insomnia specifically lasts up to 1 week and is associated with acute situational stress factors such as a job interview or exam. It usually resolves once the person has adjusted to stress factor, or it is no longer a concern. It can however reemerge when new or similar stressors occur. Causes of short-term (acute) insomnia are typically related to more significant or persistent stress sources, which may be environmental factors such as too much noise, light, temperature extremes, or an uncomfortable bed ,or situational factors including relationship concerns or losses (for example, death of a family member). Causes of chronic insomnia are more variable and are associated with underlying causes. Restless leg syndrome (RLS) is characterized by the urge to move the legs usually accompanied by an uncomfortable sensation in the legs such a crawling, burning, aching or cramping sensations. RLS often occurs at night while sitting and relaxing, and the sensation and the urge to move is often relieved by movement. Periodic limb movement disorder (PLMD) occurs during sleep and involves periodic movements of the lower legs, causing brief mini-awakenings (arousals from sleep). Severe cases can cause significant sleep interruption and insomnia. Sleep apnea is a less common cause of insomnia. This condition is associated with loud snoring and frequent brief awakenings during the night. Many factors, including abnormalities or altered anatomy of the structures in the nose or throat, may cause this condition. Circadian rhythm disorders (disruption of an individual's "biological clock") may occur when a person stays up later and sleeps later, then has difficulty returning to a more normal sleep schedule. People who work during the night ("graveyard shift") frequently have problems with insomnia. Insomnia due to jet lag is also a disruption of the normal Circadian rhythm. Primary insomnia may be diagnosed when all other disorders have been excluded. Primary insomnia is often referred to as psychophysiologic insomnia. This disorder often results from a period of stress in a person's life. Normally, this condition resolves over time, but for some, insomnia results in ongoing tension and an inability to sleep. Bad sleep habits develop, and the person begins to worry about his or her sleep, worsening the symptoms of insomnia. The bad habits must be "unlearned," and the person educated regarding good sleep hygiene practices. The management and treatment of insomnia depends on the underlining cause or causes. If a person has a medical or neurological problem, treatment directed at the primary disorder may improve insomnia. Also if insomnia is caused by taking certain medications, tapering or withdrawal of those medications should be considered. Sleep as much as you need to feel rested; do not oversleep. Exercise regularly at least 20 minutes daily, ideally 4-5 hours before your bedtime. Avoid forcing yourself to sleep. Keep a regular sleep and awakening schedule. Do not drink caffeinated beverages later than the afternoon (tea, coffee, soft drinks etc.) Avoid "night caps," (alcoholic drinks prior to going to bed). Do not smoke, especially in the evening. Do not go to bed hungry. Do not go to bed with your worries; try to resolve them before going to bed. Sleep restriction therapy: This involves limiting time in bed, with the goal that over time, poor sleep habits due to sleep deprivation will correct themselves. It's beneficial to have a sleep specialist work with you on this method. Relaxation therapy: This involves procedures such as progressive muscle relaxation that reduces somatic tension (by alternately tensing and relaxing muscles) or meditation that helps with intrusive thoughts at bedtime that can obstruct sleep. Sleep hygiene education: Education on various environmental triggers (light, noise, temperature, etc. ), and health habits (diet, exercise, etc.) that may affect sleep. Cognitive restructuring: This involves psychological methods used to stop negative perceived ways of viewing insomnia. The negative perceptions lead to stress which contributes to further insomnia. Sleeping pills (sedative-hypnotic drugs) do not cure insomnia, but they may relieve symptoms. Short-term use (2-3 weeks) of sleeping pills may be warranted for chronic insomnia while other treatments or behavioral therapies are being started. The choice of sedative-hypnotic depends on the type of sleep problem. If an individual has trouble falling asleep, a quick-acting but short-lasting drug such as zolpidem (Ambien) may be prescribed. Zolpidem tartrate (Intermezzo), a lower dose formulation of Ambien, can be used to treat insomnia characterized by middle-of-the-night waking followed by difficulty returning to sleep. In general, these types of drugs are useful because they may be taken after several hours of trying to fall asleep, yet the effects do not last long enough to cause difficulty waking in the morning. How do benzodiazepine hypnotic drugs work? These drugs bind to benzodiazepine receptors (omega-1 and omega-2) in the brain, thereby inducing sleep. Who should not use these medications? Uses: Take the prescribed dose 30 minutes before bedtime. Elderly individuals are prescribed smaller doses. Drug or food interactions: Certain drugs, such as cimetidine (Tagamet), azole antifungal medications, antibiotics (for example, erythromycin [E-Mycin, Ery-Tab]), or drugs used to treat AIDS, lessen the body's ability to eliminate benzodiazepines, thereby increasing the risk of toxicity. Some drugs, such as rifampin (Rifadin) or St. John's Wort, may speed the metabolism (breakdown for use in the body) of sedative-hypnotics, thereby decreasing their effectiveness. Side effects: Benzodiazepines may impair coordination, balance, or mental alertness and are more likely to disrupt REM sleep, causing less restful sleep. Pregnancy and breastfeeding safety: Benzodiazepines are Pregnancy Category X. This means benzodiazepines are contraindicated in women who are or may become pregnant as they may cause fetal harm when administered to a pregnant woman. Because many drugs are excreted in human milk, caution should be exercised when administered to a woman breastfeeding, as the effect on a nursing infant is not known. How do sedative hypnotic drugs work? Although these drugs are not chemically like benzodiazepines, they bind to a specific benzodiazepine receptor in the brain called omega-1, thereby inducing sleep. They may be less likely than benzodiazepine medications to disrupt natural sleep rhythm patterns (called the rapid eye movement [REM] ratio). Disruption of REM sleep may make sleep less restful. How Lunesta works is not fully understood. Lunesta is thought to promote sedation and to affect brain receptor sites that are close to gamma-aminobutyric acid (GABA). TThe extended-release product (Ambien CR) consists of a coated 2-layer tablet and is useful for insomnia characterized by difficulties with sleep onset and/or sleep maintenance. The first layer releases drug content immediately to induce sleep, whereas the second layer gradually releases additional drug to provide continuous sleep. People with an allergy to sedative hypnotics should not take them. Uses: Take the prescribed dose 30 minutes before bedtime. Elderly individuals are prescribed smaller doses. If taking an extended-release product, such as Ambien CR, it must be swallowed whole (do not divide, chew, or crush). If taking Intermezzo sublingual tablet, it must be placed under the tongue and allow it to break apart completely, then swallow. It also must be taken only if you have at least 4 hours of sleep time left. Drug or food interactions: Other drugs that depress the brain's functioning, such as alcohol or barbiturates may increase drowsiness and cause an increased risk of toxicity. Cimetidine (Tagamet) increases Sonata levels, thereby increasing the risk of toxicity. Antidepressant medications also can interact with sedative hypnotic medications by causing additive affects and dose adjustment of concomitant CNS depressants may be necessary. Ketoconazole (Nizoral), itraconazole (Sporanox), clarithromycin (Biaxin), nefazodone (Serzone), ritonavir (Norvir, Kaletra), and nelfinavir (Viracept) may increase blood levels of Lunesta, therefore increasing the risk for side effects. Zolpidem's effect may be delayed if taken with food or shortly after a meal. Side effects: Common side effects include drowsiness and dizziness,, possibly impairing coordination, balance, and/or mental alertness. These drugs must be used with caution in individuals with a history of drug abuse or dependence. Ambien, Lunesta, and Sonata work very quickly and should only be taken just before going to bed. Proper dosing is important to minimize the likelihood of side effects and differs between men and women. Patients should allow for a full 8 hours after taking the medication before driving or operating equipment. Pregnancy and breastfeeding safety: Nonbenzodiazepine hypnotics are Pregnancy Category C. This means there are no adequate and well-controlled studies in pregnant women for non-benzodiazepines. Consult a physician to determine if the potential benefit justifies the potential risk to the fetus. Because many drugs are excreted in human milk, caution should be exercised when administered to a nursing woman as the effect of on a nursing infant is not known. This is a newer class of medications to treat insomnia that also does not fall into the benzodiazepine category. Currently, the only US Food and Drug Administration (FDA)-approved medication in this category is uvorexant (Belsomra). How does the orexin receptor antagonist drug work? The drug works by decreasing activity in the wake center of the brain and therefore promoting sleep. This particular type of insomnia medication works on orexin receptors in the lateral hypothalamus in the brain. It acts by decreasing activity in the wake centers of the brain and helping patients transition to sleep. This is in contrast to traditional insomnia medications, which attempt to increase activity in the sleep centers of the brain. The mechanism action of suvorexant (Belsomra) is completely unrelated to both the benzodiazepine and non-benzodiazepine sedative-hypnotic drugs. Uses: Take the prescribed dose 30 minutes before bedtime. Drug or food interactions: Other drugs that depress the brain's functioning, such as alcohol or barbiturates, may increase the likelihood of abnormal behaviors during sleep, drowsiness, and cause an increased risk of side effects. Side effects: The most significant side effect noted in studies was increased daytime sleepiness. Caution is advised and it should be reported to your doctor if there is any incident of increased abnormal night-time activity such as activity out of bed while not fully awake, "sleep driving" increased symptoms of depression or suicidal thoughts, change in breathing function, sleep paralysis, or hallucinations. Pregnancy and breastfeeding safety: The drug is classified as Pregnancy Class C since there are no established studies in humans. The drug should be avoided during pregnancy unless the benefits significantly outweigh the risks. Based on animal data, the drug may cause fetal harm when administered to a pregnant woman. Because many drugs are excreted in human milk, caution should be exercised when administered to a woman breastfeeding, as the effect on a nursing infant is not known. How do antidepressant drugs work? Antidepressant drugs are believed to work by altering levels of brain chemicals known as neurotransmitters. Some antidepressant drugs cause drowsiness as a side effect. Because this side effect may last for a long time, it can benefit an individual whose problem is awakening after initially falling asleep. Antidepressant drugs may also be used for people who have insomnia caused by depression. Drug or food interactions: Do not use within 14 days of taking an MAOI. Other drugs that depress the brain's functioning, such as alcohol or barbiturates, may increase drowsiness, cause a hangover effect in the morning, and increase the risk of toxicity. Cimetidine (Tagamet) may increase blood levels of antidepressant drugs, thereby increasing the risk of toxicity. Side effects: Common side effects include dry mouth, blurred vision, constipation,, urinary retention, and increased heart rate. Pregnancy and breastfeeding: Antidepressants are Pregnancy Category C. This means there are no adequate and well-controlled studies in pregnant women for most antidepressants. Consult a physician to determine if the potential benefit justifies the potential risk to the fetus. Because many drugs are excreted in human milk, caution should be exercised when administered to a nursing woman as the effect of on a nursing infant is not known. Melatonin is a hormone produced by the pineal gland (located in the brain) during the dark hours of the day-night cycle (circadian rhythm). Melatonin levels in the body are low during daylight hours. The pineal gland responds to darkness by increasing melatonin levels in the body. This process is thought to be integral to maintaining circadian rhythm. Ramelteon is a prescription drug that stimulates melatonin receptors. It promotes the onset of sleep and helps normalize circadian rhythm disorders. It is approved by the US FDA for insomnia characterized by difficulty falling asleep. Melatonin has been reported to be useful in the treatment of jet lag. Melatonin is believed to be effective when crossing five or more time zones, and is less effective when traveling in a westward direction. Melatonin is also used in the treatment of insomnia in elderly patients who are melatonin deficient and have trouble falling asleep. Melatonin has also been used for treatment of circadian rhythm sleep disorders in people who are blind and have no light perception. Melatonin is available as over-the-counter and is not approved by the FDA for sleep disorders as it is considered an alternative medicine. Caution is advised that variations in quality, purity, and quantity of the active ingredient in natural pharmaceuticals make interpretation of clinical studies difficult and raises concerns about appropriate dose, drug interactions, and possible contaminants. Individual patients may or may not experience the reported benefits of melatonin. Slow-release melatonin products are reported to be less effective. Uses: Swallow prescribed dose 30 minutes before bedtime on an empty stomach. Drug or food interactions: Drugs that inhibit metabolism of melatonin and ramelteon, such as fluvoxamine (Luvox), may increase the risk for toxicity. Rifampin increases the metabolism of ramelteon, therefore decreasing its effectiveness. Melatonin has been reported to interfere with warfarin (Coumadin). Melatonin side effects may include low body temperature, headache, nightmares, and worsening of depression. It should be used with caution in individuals who have epilepsy, are taking warfarin (Coumadin), have autoimmune or endocrine disorders, or are pregnant or breastfeeding. Ramelteon side effects may include liver toxicity, dizziness, nausea, fatigue, headache, and worsening insomnia. Pregnancy: Penal gland hormones are in Pregnancy Category C. This means there are no adequate and well-controlled studies in pregnant women for pineal gland hormones. Consult a physician to determine if the potential benefit justifies the potential risk to the fetus. Because many drugs are excreted in human milk, caution should be exercised when administered to a nursing woman as the effect of on a nursing infant is not known. Chawla, J., MD. "Insomnia Treatment & Management." Medscape. Updated: Aug 01, 2016. McVearry Kelso, C., MD. "Primary Insomnia." Medscape. Updated: Aug 25, 2014. Please share your experience with insomnia. If known, what is/was the cause of your insomnia? What natural remedies or non-drug therapies have you tried and found helpful in managing insomnia? What sleeping pills have you tried for insomnia, and what side effects have you experienced?